Anyone can refer a person to treatment. To make a referral, simply contact our admissions department to walk you through a phone interview. The interview will help determine level of care and appropriate services. Rimrock offers several educational opportunities tailored to meet the needs of licensed professionals or those seeking licensure. We provide an opportunity to train with experienced professionals in a hands-on environment working with addicted individuals in a full continuum of care. Rimrock can provide a comprehensive clinically based internship or practicum program based on the learning objectives set by you and your educational institution. We offer a training program to provide you with the supervision hours required for state or national licensure in addiction and mental health counseling. 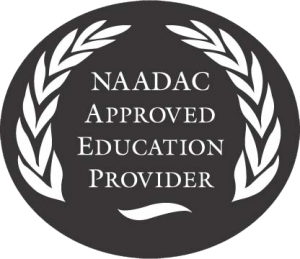 We are a NAADAC Certified Educator and provide the best opportunities for clinicians who need continuing education. We provide routine in-house lunch and learn trainings for professionals seeking state approved CEU credit hours. Gambling Classes now available for those needing their 30 CEU’s. Give us a call at 406-248-3175 to hear about our current Lunch and Learn Opportunities! Do you need a speaker for your organizations monthly meeting? We are happy to help by presenting any of the topics listed below. Especially for parents, teachers and organizations that work with youth. What are eating disorders? How do you know if someone has an eating disorder? What can you do? Through this presentation, you will learn how to spot the signs of a possible eating disorder and learn appropriate action steps. What is addiction? Learn the fundamentals of how drugs and alcohol impact the brain. Why don’t addicts just stop using? Also learn what some of the common signs of addiction are. Kratom? Bath Salts? Meow? Krokodil??? Did you know that these are all substances that are used and abused? Particularly for youth, many of these substances are appealing because of their name and their un-detectability in standard drug screens. Is there someone you know that you just cannot seem to communicate with? Are there certain people that just rub you the wrong way? Learn how to handle difficult behaviors with dignity and tact. Learn effective communication strategies for handling difficult relationships at home, work and everywhere else you go. Excellent presentation for team-building and improving interpersonal effectiveness. Learn the barriers to healthy communication and what you can do to minimize conflict. Learn the basics of assertive communication and how to get your needs met.